There has been no other character in Maratha history who has been so enigmatic and controversial as Sambhaji Raje Bhosale. Sambhaji, or Shambhu Raje as he was fondly called, was the eldest son of the legendary Shivaji Maharaj. He was born on 14 May 1647 at Fort Purander. Curiously Sambhajiraje has as many loyalists as he has his share of critics. Some dismiss him as hedonistic, reckless, and cruel, whereas some revere him as the bravest Maratha king that ever lived. Perhaps the truth lies somewhere in between. Sambhaji's reign was a short and very tumultuous one to say the least. His life was abrupt and his death so very tragic. But with his death Sambhaji achieved much more than he did during his lifetime. He is still deified as a true Hindu martyr, one who preferred death to an ignoble life of subservience. Sambhaji's mother was Saibai, from the family of the Nimbalkars of Phaltan. 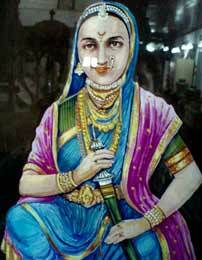 She died early (on 5 September 1659, at Fort Rajgad) after a brief illness, leaving young Sambhaji in the care of his grandmother, Jijabai. Shivaji was away on various expeditions, so the young Sambhaji was reared by his grandmother and his stepmothers. Sambhaji had to face the cruelties of politics at a very young age. When Mirza Raje Jaisingh cornered Shivaji, forcing on him a humiliating treaty, a part of the agreement was that young Sambhaji was to be kept as collateral against Shivaji's satisfactory adherence to the agreement. Sambhaji was also to serve as a courtier at the Mughal base of Aurangabad. Sambhaji had been a part of Shivaji's entourage to Agra and his subsequent confinement there. When Shivaji escaped from Agra, Sambhaji was left behind in the care of some friendly Brahmins at Agra and was only sent back to Maharashtra much later, once the danger to his life had faded. 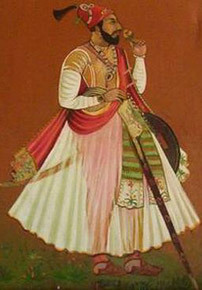 Sambhaji was also known for being a patron of the arts. He employed a learned man called Keshav Pandit Adhyaksh to read with him Valmiki's celebrated epic, the Ramayan. As a reward, in 1684 he gave Keshav sixteen hundred small silver coins known as ladis. Moreover, the king was no mean versifier. He is known to have written two books of Hindi poetry. The first was called Nakhshikh, in which he described the pleasures of love. The second was named Nayakabhad. In it he sang of the varying charms of the beauties who beguiled his leisure moments (as referenced by Kincaid). According to historians such as KhafiKhan, Mannucci, Duff, Kincaid and Sarkar (most of whom have based their versions on the Chitnis Bakhar), Sambhaji didn't help his cause either. As alleged by the Chitnis Bakhar,  rumours of Sambhaji's youthful indulgences were reaching Shivaji's ears. There were even reports of Sambhaji's misdemeanour towards the daughter of a minister (Annaji Datto Surnis, as mentioned by historian Setu Madhavrao Pagdi. Annaji Datto's daughter apparently committed suicide). Shivaji had always maintained high standards regarding the behaviour of his men towards women. Obviously he didn't take kindly to this news about the crown prince. To make matters worse, Sambhaji didn't get along with many of Shivaji's ministers. There were reports of Sambhaji interfering in the tax collection efforts of these ministers. Apparently Sambhaji sided with the ryot and often publicly ridiculed the ministers whom he accused of being high handed and corrupt. But many historians (Bendre and Shevde, the novelists Shivaji Sawant and Vishwas Patil who have researched Sambhaji extensively) have refuted allegations that cast aspersions on Sambhaji's character. They have laid the blame for Sambhaji's actions squarely on a clique of ministers who resented Sambhaji and wanted Rajaram to replace him as the crown prince. According to these historians, it was calumny spread specifically to malign Sambhaji. Shivaji did detain the crown prince in Fort Parnala at Parli. But what transpired afterwards has definitely left doubts about Sambhaji's judgement. Sambhaji and his wife Yesubai (this is disputed, as Durgabai, another of Sambhaji's wives, was said to have accompanied him) apparently took off in the night and joined the Mughal forces of Diler Khan (again historians differ over this, and maintain that it was a part of Sambhaji's tactics to mislead the Mughal commander Diler Khan and blunt his attack on the Maratha kingdom in Shivaji's absence, while the latter was away on his Karnataka expedition). This took place sometime in 1678. But within a year's time, the crown prince realised the folly of his actions when he witnessed the atrocities of the Mughals on the ryot and escaped back to the Maratha camp at fort Panhala (in 1680). Sambhaji was apparently reconciled with his father, but was still kept under surveillance at the fort (according to Jedhe Shakavali). Interestingly in a few letters (e.g to one Kudalkar Shastri) in uncovered Sambhaji has mentioned his stepmother Soyrabai as kind and loving. The famed Chitnis Bakhar was a treatise on Maratha history. Written 120 years after the death of Sambhaji by the descendent of a man (Balaji Avji Chitnis) who was executed by Sambhaji, its neutrality is sometimes questioned. One has to be very circumspect before giving complete credence to this bakhar. Even the Sabhadsad bakhar was written by Krishnaji Anant Sabhasad - a contemporary of Shivaji's - in his later years, when he was an employee of Rajaram (around four or five years after Sambhaji's death). So it is not surprising that he has many a kind word for Rajaram, and presents Sambhaji in a negative light. Similarly, the Sivadigvijaya Bakhar, though attributed to Khando Ballal Chitnis, the son of Balaji Avji, in fact appears to have been written by someone else (probably by one of the Chitnis descendents). Rajaram was to be married in the same year. But because of Sambhaji's disharmony with Soyrabai, Sambhaji was not invited to his own half-brother's wedding. Then Shivaji's untimely death (on 3 April 1680) took place in Fort Raigad. This was followed by a great deal of palace intriguing. Many of Shivaji's ministers, such as Pralhad Niraji, Annaji Datto, Moropant Pingale, Balaji Avaji Chitnis, Hiroji Farzand, etc, colluded with Soyrabai and installed the ten year-old Rajaram as the next king. Balaji Avaji even dispatched a letter addressed to the killedar (the fort commander) of Panhala to imprison Sambhaji with immediate effect. Janardhan Pant Hanumante was asked to take Sambhaji into custody. But the message was discovered by some of Sambhaji's well-wishers, who promptly informed the prince of the conspiracy being hatched against his person. 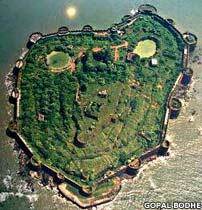 Sambhaji and his men immediately took charge of the fort. The killedar was executed. Two hundred of the conspirators were arrested and put to death. Notable amongst the conspirators were Khandoji Naik the messenger, Bahirji Ingle, Somaji Banki, Suryaji Kank and Hiroji Farzand (Hiroji had managed to give them the slip, but was re-arrested at Chiplun). Janardhan Hanumante was seized in Kolhapur. Sambhaji then secured the support of some leading Maratha nobles such as Hambirao Mohite (the sarnobat/commander-in-chief of the Maratha army, who was incidentally Soyrabai's brother and also the father-in-law of Rajaram - Rajaram's wife, Tarabai, was his daughter. Nevertheless, he sided with Sambhaji, whom he considered the rightful heir to the throne). 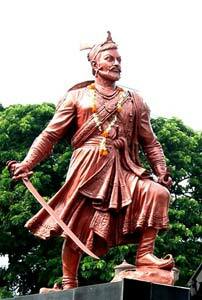 Sambhaji marched along with twenty thousand troops to Fort Raigad. Yesaji Kank, an old Shivaji loyalist, opened the fort gates for the prince. Raigad fell without much resistance to Sambhaji. Even the killedar, Kanhoji Bhadwalkar, switched sides to Sambhaji. In February 1681, Sambhaji declared himself the new chatrapati (king) of the Maratha throne. The king wanted Ramdas Swami, the aged spiritual guide of Shivaji, to be present at the coronation ceremony. But the old man politely declined citing health reasons, and sent his emissaries instead. As some historians allege, Ramdas was very much perturbed by the bloodshed that took place prior to the coronation, and it was for this reason that he declined to be personally present. But the teacher did give Sambhaji a personal letter along with his blessings. In the letter Ramdas Swami advised the young king to follow in the footsteps of his great father, be more tolerant towards his people, avoid making decisions in anger and haste, and he advised Sambhaji to be more discreet and prudent in the future. Heeding the saint's advice, Sambhaji decided to let bygones be bygones. He released several of the conspirators. He even reappointed Moropant Pingale as his Peshwa (the loyal Hambirao Mohite was already commander-in-chief of the armed forces). Then it so happened that Prince Akbar (the son of Aurangzeb), who had rebelled against his father, sought refuge with Sambhaji, something which was granted (Netaji Palkar the veteran ex-senapati who had experience of the north, was sent to receive the prince). The discredited ministers once again decided to take their chances by enlisting the help of the Mughal prince in overthrowing Sambhaji. They tried to seduce Akbar over to their side, and even plotted to poison Sambhaji. This is only mentioned in the text, Sivadigvijaya, and some English records. This alleged incident is not repeated by other bakhars/historians. But Prince Akbar, grateful for the protection he had received, informed Sambhaji about the attempt to be made on his life. On hearing the news, Sambhaji's fury was released once again. He arrested the conspirators (Annaji Datto, Hiroji Farzand, Balaji Avji, etc), and had them trampled under the feet of an elephant. Many of Soyrabai's kinsmen were also slaughtered in what was famously called the 'Shirkan' (the genocide of the Shirkes). Note: The name of Khando Ballal, son of Balaji Avji, figures in the material written about Sambhaji, which probably indicates that Khando Ballal was pardoned on advice from Sambhaji's wife, Yesubai, and he once again resumed his position in Sambhaji's service. Khando Ballal was even said to have saved Sambhaji's life in an expedition to Goa. Khando Ballal also accompanied Rajaram during his hazardous journey to Gingee, and remained his close aide in those years. Khando Ballal also served Tarabai and later Shahu and was responsible for saving Pant Pratinidhi from Shahu's wrath when Pant Pratinidhi, acting in favour of Tarabai, went against the interests of Shahu. Khando Ballal's son, Govind Chitnis, served Ramraja's cause and helped Balaji Bajirao in installing Ramraja on the Maratha throne. Govind's grandson, Malhar Chitnis, wrote the famed Chitnis Bakhar. His son, Balwantrao, served Chatrapati Pratapsinh at Satara. But this incident sowed the seeds of permanent distrust in Sambhaji's mind towards many of his men. This also led to the prominence of a Brahmin from Kannauj by the name of Kavi Kalash (Kalash the poet). Kalash soon became Sambhaji's closest confidante and adviser. According to some historians, Kalash took advantage of Sambhaji's distrust towards his other ministers and widened the rift between them. Kavi Kalash is still a much hated figure amongst a section of Marathas and is often called 'Kalusha Kabji' (the evil instigator). Alternatively, many historians swear by Kavi Kalash's devotion towards Sambhaji, making him as much an mysterious personality as his master. Sambhaji's first campaign was in May 1680. He openly challenged the Mughal viceroy, Khan Jehan, alias Bahadur Khan Koka. The Maratha forces split into three, one attacking the Mughal territory of Surat, the second raiding Khandesh, while the third took on the imperial forces at Aurangabad. The attacks proved a success for the Marathas and they came back with a rich array of booty. 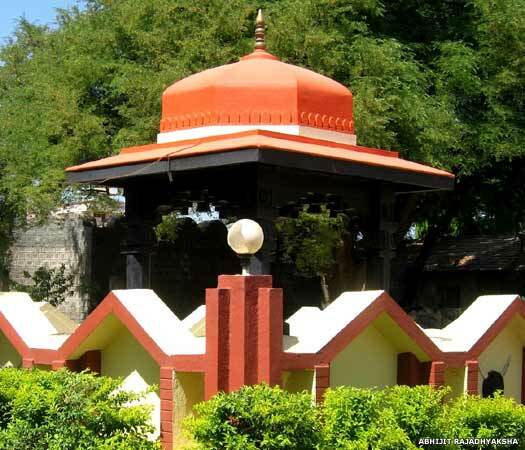 Sambhaji and Habirrao Mohite even looted the Mughal camp at Burhanpur, divesting it of twenty million rupees. Sambhaji's second campaign was a daring attempt to capture the sea fort of Janjira, which unfortunately proved a failure. He even lost a brave officer by the name of Kondaji Farzand. Kondaji had managed to befriend the guarding Siddis (Abyssinians) of Janjira. He had gained their trust by citing his differences with Sambhaji. He therefore managed to enter the fort and was about to capture it from within. But, unluckily, Kondaji's plan was exposed at the last minute and he was arrested and beheaded by the Siddis. A second attempt by another officer, Dadaji Raghunath, was also foiled, this time by the cruel sea, when a fierce sea wrecked his attacking boats. A third attempt was made when Siddi Misri, who was once a part of the Siddi contingent of Janjira, switched sides to join the Marathas. Sambhaji made him the commander of his naval fleet. Siddi Misri led the Maratha navy against his fellow Siddis of Janjira. But Siddi Misri lost the naval battle and was himself fatally wounded. Meanwhile, the Portuguese had aligned themselves with the Mughals. The Portuguese viceroy, Alvor, had allowed the Mughals to set up their naval base in Portuguese territory. To punish the viceroy, Sambhaji attacked Portuguese territory (1683-84), and at one point surrounded Alvor himself. 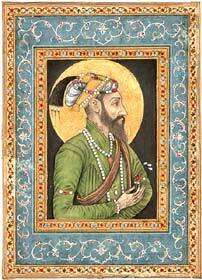 But as fate would have it, Aurangzeb sent a large army to take on the Marathas, forcing Sambhaji to retreat. Sambhaji then sent a contingent to ravage the Mughal territory of Khandesh, and a second contingent to attack the Mughul prince, Shah Alam, in the south (in the Karnataka region). The Maratha forces met with success and Shah Alam's forces had to retreat on several fronts. Then there was also a campaign against Chikkadevraja, the king of Mysore. Chikkadevraja had challenged the Marathas by intruding onto their territory. Sambhaji dispatched an army against him, forcing Chikkadevraja to sue for peace. It is said that to counter the barrage of arrows launched by a huge array of archers from Mysore, Sambhaji made a battlefield preparation of oil-laden rubber armour for his soldiers which blunted their attack. At the same time he used oil-fired arrows to subdue the enemy. In the period between 1684-1686, Aurangzeb concentrated on his southern campaign. Both Bijapur and Golkunda fell in quick succession, but Sambhaji may have made a tactical error by not aligning himself with the combined armies of Bijapur and Golkunda to face the Mughal onslaught (although a group of historians maintain that Sambhaji cannot be blamed for the inactivity of the Golkunda and Bijapur monarchs. They lay the blame squarely on the monarchs of Golkunda and Bijapur for the loss of their kingdoms. They accuse the Golkunda king of being hedonistic and careless and the Bijapur king of being too young and inexperienced). By 1687, the Bijapur troops who were not being utilised (mainly the Hindus amongst them, who felt ignored by the bigoted Muslim emperor) joined the Maratha ranks and captured almost one hundred and twenty towns which were once a part of the Bijapur provinces. By now Aurangzeb's rebel son, Prince Akbar (who had sought refuge with the Marathas) was feeling the heat of his father's troops. He therefore took leave of Sambhaji and fled to Persia. But the emperor Aurangzeb was in no mood to forgive and forget. With the Bijapur and Golkunda kingdoms annexed to the Mughal empire, Aurangzeb decided to concentrate on Sambhaji. He wanted to punish Sambhaji for harbouring his rebel son (and other rebels such as the Rajput Durgadas). In 1688, Aurangzeb sent Sarja Khan, an ex-Bijapuri officer, to recover the lost Bijapur territory from the Marathas. Sarja Khan was led into the jungles of Wai by Sambhaji's erstwhile commander-in-chief, Hambirao Mohite. Though Sarja Khan and his forces were routed by the Marathas, Hambirao Mohite became a casualty of that battle. The death of his most trusted noble was a great blow for Sambhaji. To date, Sambhaji has continued to evoke mixed reactions. Some hail him as the bravest Maratha warrior that ever lived, whereas some criticise him for his indolence and a weakness for the good life. But even his critics concede the man's genius. They report him spending months in pleasure-seeking, only to emerge out of hibernation one fine day, and put up a string of military successes, wiping out all the blots of procrastination of which he may be accused. Many attribute his split personality to the early plots of his step-mother and the ministers against him. This, according to these historians, made him wary about the people around him. He wasn't able to trust easily. As a result he gathered some less salubrious people around him, who deliberately led him astray to suit their purposes. He probably spent months under their baleful influence, only to be shaken back into reality and good sense by some of Shivaji's old loyal aides such as Hambirrao Mohite. But one has to understand that all the historians who have written adversely about Sambhaji either belonged to enemy camps (Mughal, British, or Portuguese) or have based their reasons on the material of the Chitnis Bakhar. After all, Sambhaji was raised by the same woman (Jijau, Shivaji's mother and Sambhaji's grandmother), who raised the great Shivaji and would have passed on the same values to Sambhaji as were passed on to his father. Also it must be noted that Sambhaji had to face a formidable opponent in the form of the Mughal Emperor Aurangzeb himself, something which even the great Shivaji was spared. Mughal might was several times greater that Bijapur's, and to Sambhaji's credit he put up a brave fight against the Mughals. He also added several territories to Shivaji's existing kingdom including parts of the Portuguese empire in Konkan and Goa, tracts of the Bijapur territory in Karnataka, and so on. As the acclaimed historian Narhar Kurundar says, 'if five to six forts were indeed lost to the Mughals, four to five were also wrested away from this strong enemy'. Another charge levelled at Sambhaji is that he was an alcoholic and hedonistic person, very careless and irresponsible in terms of the day-to-day administration of his kingdom. Assuming that he consumed alcohol does not automatically mean that he was negligent in his affairs. Most kings of his time and those before and after him have been addicted to alcohol and opium, including his younger brother Rajaram, and Jehangir and, for that matter, even Aurangzeb. But that need not translate into irresponsibility. His brief reign of eight years witnessed several campaigns which would not have been possible without Sambhaji's personal attention. At Kalash's insistence, Sambhaji decided to spend the hot summer of 1688 in a palace built by Kavi Kalash at Sangameshwar, a small but climatically cool township twenty miles north from Vishalgad, and twenty-two miles north-east of Ratnagiri (this may have proved a mistake on the part of Sambhaji, as for once he was away from the safe protection of the impregnable fort of Raigad). The news of Sambhaji's whereabouts soon reached the Mughals. The Mughal commander, Muqarrab Khan, then devised a daring plan to capture Sambhaji in person. He was helped in his endeavour by the estranged brother-in-law of Sambhaji, Ganoji Shirke, who showed the Mughal army the way through the adjoining dense forests, simultaneously providing the Mughals with logistics and information about Sambhaji's movements. In February 1688, Sambhaji and Kavi Kalash were surrounded and captured. They were brought before Aurangzeb, who had himself encamped at Akluj (near Pandharpur). They were both humiliated in public and paraded before the crowds in buffoons' attire. Aurangzeb then offered Sambhaji an insulting proposition. Sambhaji should surrender all his forts and the amassed Maratha treasure to the Mughals. Secondly, he should reveal the names of all Mughal officers who were secretly colluding with the Marathas, and thirdly Sambhaji should convert himself to Islam and serve the emperor in near future. In return Aurangzeb would spare Sambhaji's life. But the fearless Maratha king scornfully retorted that he would accept the emperors conditions only if Aurangzeb agreed to marry off his daughter to him. Sambhaji then exchanged insult for insult. This audacity incensed the emperor no end, and he ordered Sambhaji's execution. 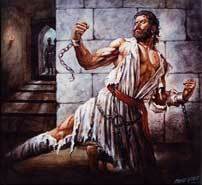 For three days Sambhaji was tortured at Vadu, on the banks of the River Bhima, near Pune. Aurangzeb ordered the blasphemous tongue to be pulled out, his eyes were gouged out, his limbs were severed. Sambhaji was subjected to a very horrific ordeal. But he bore it bravely until, on the third day, his head was taken off his shoulders. So ended the life of a controversial but brave king on 11 March 1689. In death he became a martyr, inspiring a Maratha fight back. After Sambhaji's death, all Maratha nobles forgot their differences, united under the banner of Chatrapati Rajaram (Sambhaji's half-brother) and continued their struggle against the Mughals. Takakhav, N S - The Life of Shivaji Maharaj, adapted and translated from the work in Marathi by K A Keluskar, Manoranjan Press, Bombay. Vaidya, C V - Shivaji, the founder of Maratha Swaraj, S R Sardesai, Navin Samartha Vidyalaya's Samartha Bharat Press, Poona. Plus P Bhosale, J Pawar and M Tendulkar, and novels on Sambhaji by Shivaji Sawant and Vishwas Patil.